Experience Fairmont Gold, the ultimate upgrade with exclusive amenities, highly personalized service and a private lounge. Willow Stream Spa with private outdoor terrace, Jacuzzis, Infrared sauna, meditation pods and 24-hour fitness centre. Fairmont Pacific Rim rooms are designed to exceed the highest standards and services, with modern design, water, mountain and city views. Featu ring luxury linens, Stearns & Foster beds, spacious spa-like marble bathrooms with television-mirrors, iPad Customer Experience technology, as well as wall-mounted 42" LCD televisions with surround-sound. Vancouver's newest restaurant features a collection of four diverse spaces, dining room, cocktail bar and lab, garden, and a champagne lounge. The experience reflects a new Pacific Northwest, one that has always been here, just waiting to be discovered. The city's best casual Italian café + eatery serving daily breakfast, lunch, aperitivo, and weekend brunch. Giovane market celebrates artisanal items, sourcing the best of BC and Italy's finest. Lose yourself in the seductive scene at The Lobby Lounge, where glamour meets comfort. Featuring hand-crafted cocktails, live music and rave-worthy sushi from the 100% Ocean Wise menu. Lose yourself in the seductive scene at The Lobby Lounge and RawBar, where glamour meets comfort. Featuring hand-crafted cocktails, live music and rave-worthy sushi from the 100% Ocean Wise menu. Highlights: Impeccable front-of-house service, especially by the manager and the bike valet; fabulous room with all the right touches (kids’ sized robes) and modern amenities; bike rentals; turn-down service organized our daughter’s stuffed animals in her bed, and she is now your biggest fan. Improvement Opportunity: (1) Service at Botanist was truly, shockingly, abysmal. Over 45 minutes waiting for food. Our breakfast was comped, but with attitude by the server. Would have preferred to pay and get Fairmont-level service. (2) Housekeeping was banging the linen cupboards by the elevators at 7am on a Saturday morning. Luckily the children slept through it, but I was up and unable to get back to sleep. On a SATURDAY! - Check-in/check-out - quick and friendly - Concierge service - so-so - Valet service - quick and friendly - Room nice and comfortable - Restaurant (Botanist) - very nice/good service and food - Spa (gym) - good. It was wonderful the staff was very helpful and pleasant. It was unfortunate we weren't able to enjoy the lounge in the main floor, due to it being a busy Friday night. Gold floor experience was excellent. Great hotel and location. Excellent service. I had a relaxing and efficient stay. The car service and turn down service were excellent and highly appreciated. Outstanding service, staff and ameneties. My spouse and I felt like royalty, if I could even imagine what that feels like. Exceptional care to attention and service that was provided to us impressed me very much. We have stayed at Fairmonts in: Montreal, Ottawa, Edmonton, Jasper, Lake Louise, and Seattle. Pacific Rim was the best stay we had in all. Tony provided exceptional service on the gold floor. He was able to manage all of our requests with professionalism and the utmost curtesy. A delightful change to the hotels I'd stayed with previously. I thoroughly enjoyed the subtle touches in added service; turned down, bath mats placed in front of tub and shower; water with ice and glass; and curtains closed. First class service at its best !! If and when I stay downtown this is my first choice if available. Met or exceeded my expectations in every aspect. First class from the moment I arrived to checkout. Rooms were nice and clean. Staff provided good recommendations. Great service overall, room was very nice. Jill Spoor was wonderful!! She took such good care of us and really spoiled us!! Everything was great. Service was first rate and ambience everything I had heard. The hotel was great, car service was great although I found the service in the restaurant poor. The food was delicious though. Front de So staff wonderful. Bless a great ambassador for your hotel. Rooms were the best I have ever stayed in, and service was impeccable. Honestly, I stay at the Pacific Rim a lot. You can check my file. 5 stays ago, my blinds wouldn't open. 4 ago they wouldn't close. 3 ago, my suite had pee all over the floor when I arrived (I raised this one to the manager), 2 ago was ok, and the last stay the TV in my washroom was only static and the TV in my room would not turn off. I also notice that Giovanni has stopped making parfaits so I had to go to Starbucks. 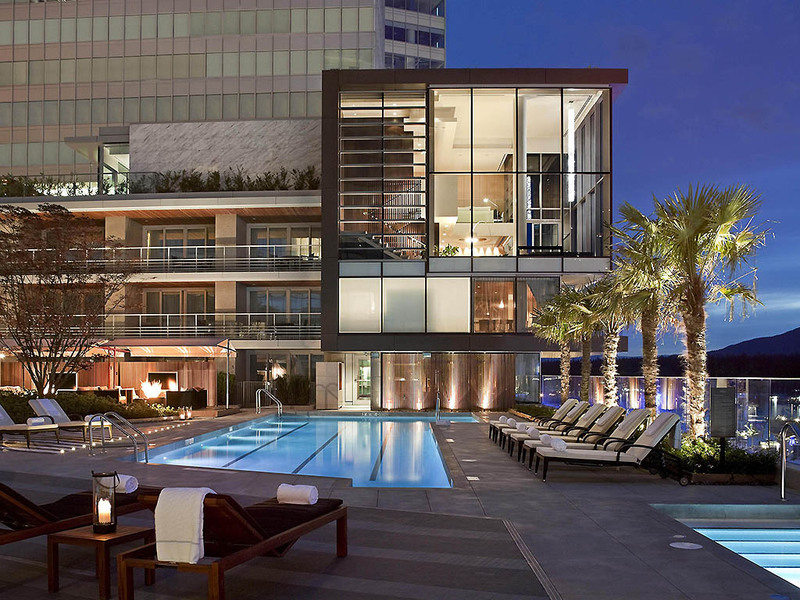 It's not like it's a bad hotel, but it certainly has fallen service wise in the last 4 years and with the JW, Douglas, and Rosewood, there are other choices that I am more and more likely to take. Our experience was very relaxing and enjoyable.